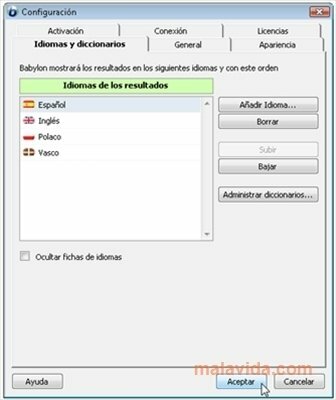 There are many free translators that do the job perfectly, but if what you need is a complete, reliable and versatile tool, you'll have to resort to Babylon, considered for quite some years as the best translator tool that exists. Babylon can translate to and from 26 languages and, what's more, it provides quite a lot of additional data from language dictionaries, encyclopedias and Wikipedia. The program is dynamic and efficient, using the minimum amount of resources. 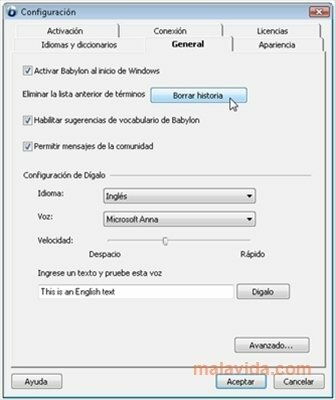 Babylon can be called forward by selecting text by means of a keyboard and mouse combination, or by pasting the text directly in its window. The program won't have any problems with long texts, because it has been implemented with tools that will allow it to translate full documents. Likewise, it can translate any website to the language that we choose. One of Babylon's most useful technologies is the one that allows the application to automatically recognize a text's language, this will allow the user to work with texts in different languages without having to change the program's configuration each time. The program works in the background, hidden in an icon in the system tray, and appears whenever it is called forth. As well as the support documents that the application includes by default, we will be able to quickly install many other dictionaries, some of which are only provided for trial, thus having to pay for them if we want to use them forever. 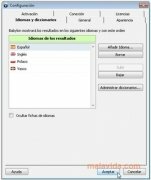 A serious and professional translation option, that is very easy to use, that can be used to work with the world's most important languages.